Here is an old video of us hitting heavy support grip holds for time on the GRex. 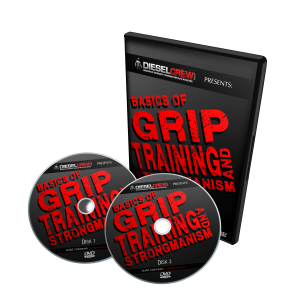 Support grip is one component of grip strength. The others are crush, pinch, wrist postures and hand health. 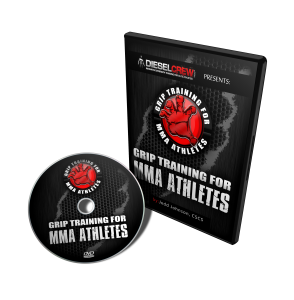 Grip strength is the forgotten element of functional training and is essential since the hands are involved in all athletic and strength training endeavor (including building muscle or losing fat). In fact the hands are the end point of the kinetic chain, so they must be developed if we hope to transfer the power created and accumulated from our bodies and express it through our hands. You’ve probably heard of using foam in the weightroom. Previously, you might have only thought of using it for resting your knee on, while your stretching your hip flexors. Well, a recent talk with Mike Hanley of HanleyStrength.com changed that. He told me that he had his clients marching on thick foam to help with their knee and hip problems. He said Louie Simmons had told him about it. How he has been using it for activation and rehab purposes. It is also well recognized in the powerlifting community that foam can also be used on the box squat, and we will talk about this too, later in this article. Now, this of course got me thinking about other uses of foam. I ordered a few blocks and started incorporating it into my program and the program of my clients. Let’s look at a few different ways that you can incorporate foam into the weightroom. Here is a video of some unique step-up squat variations. Utilizing an Elite Swiss Bar, grappler presses build isometric and decelerative strength in the biceps, shoulders and back. Football players, grapplers, combat athletes, rugby players and many other sports will benefit from this movement. 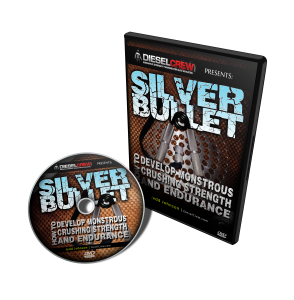 It is not hard to incorporate strongman training techniques in your athletes programs, but you have to make sure the technique is right. Otherwise, the benefit will not outweigh the risks. If you are TOO CLOSE TO THE TIRE when flipping (i.e. deadlifting the tire) when you STAND UP you are in a bad spot and have to wrestle with the tire with your biceps. Also, a more athletic position starts with your hips back (in about a 45deg angle) and driving forward. The video also demonstrates a quick way to modify a tire to make it easier for younger athletes or for tires with bad tread and low profiles. Huge Combat Core Sale Starting Now!